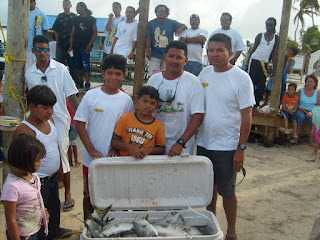 Home » Community and Society » September 10th Fishing Tournament! 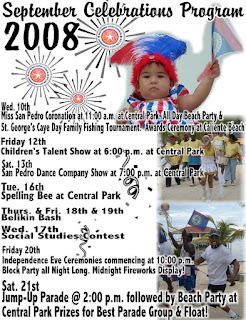 Spearheaded by the San Pedro Town Council and the San Pedro Game Fishing Association, the ever-exciting St. George’s Caye Day Family Fishing Tournament will take place on Wedneday. This event is opened to everyone (families, groups of friends, staff groups, organizations, etc.). Fishing time may begin at 6:00 a.m. or later but will end at 5:00 p.m. At the end of the day, the boat with the most pounds of fish will win the grand prize of $1,500. Second prize will receive $750 and third prize will receive $500. A prize will also be awarded to the angler of the biggest fish. Registration can be done at Caliente Restaurant and the office of the San Pedro Town Council. Registration is of $100 per boat (and covers as many anglers desired). All species caught need to be fished with hook and line. NO SPEARING. Qualifying fish include snappers, barracuda, jacks, groupers, tuna, mackerels, dolphin, all bill fish, skip jack, yellow fin and black fin. Fishers are reminded that the limit poundage per fish is one pound. One point will be awarded per pound of fish and the weighing will take place at the foot of the Ambergris Diver’s Dock on September 10th. 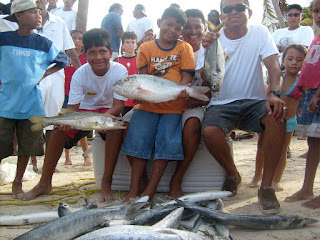 A look back at LAST YEAR'S Fishing Tournament!! For more information, please contact Jennie Staines (226-2170), Felix Ayuso (624-9379) or Councilor Nano Guerrero (600-8428). Don't Miss out on the fishing fun on wednesday as the fourth annual family fishing escapade will get underway!